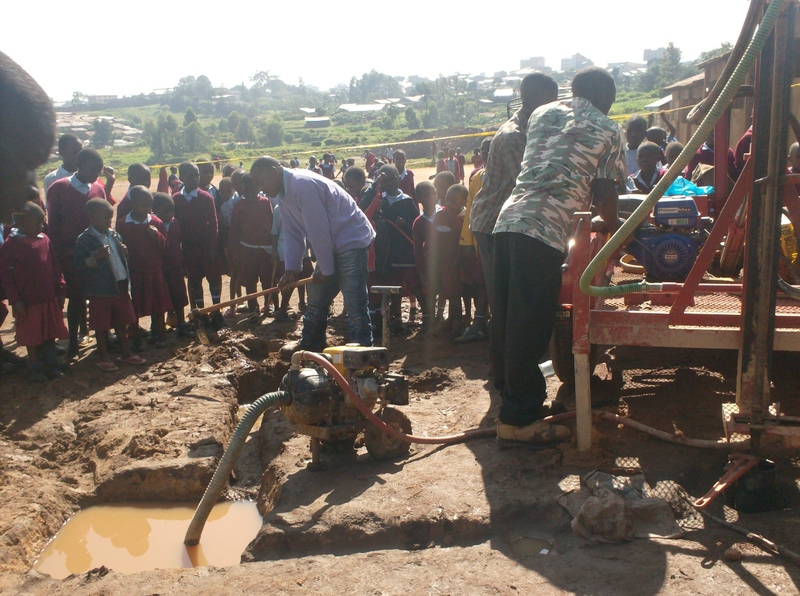 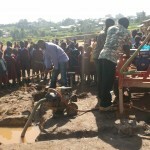 Drilling began this week at the Nabongo School. 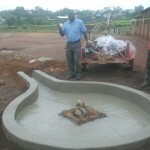 Our team sent along these pictures. 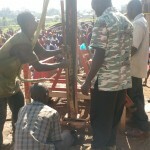 They found water at 16 meters and drilled to 21 meters. 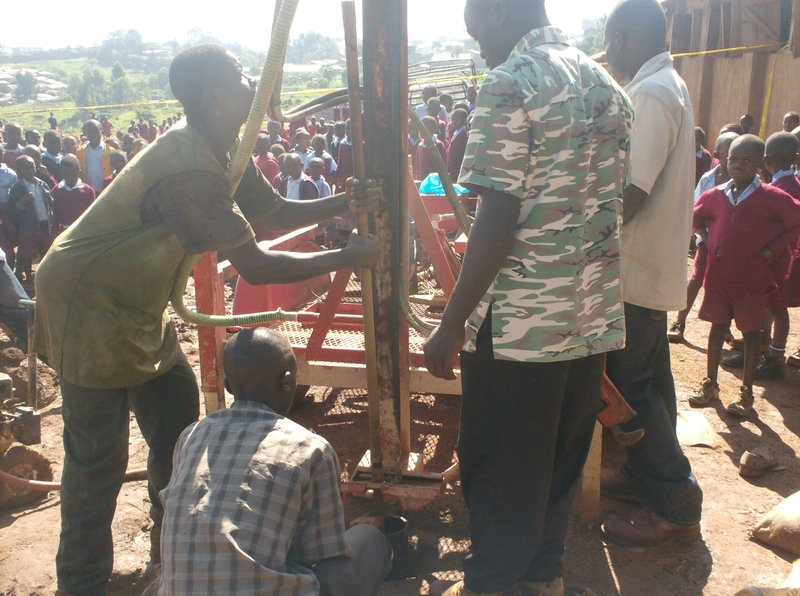 The borehole is now drilled and cased, cement works complete and it is curing at present. 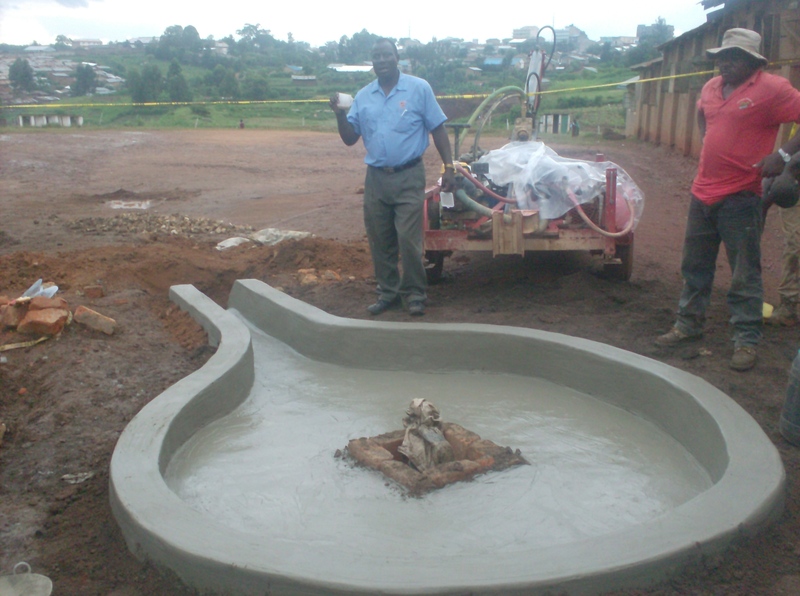 The Afridev handpump has been purchased and is awaiting installation.